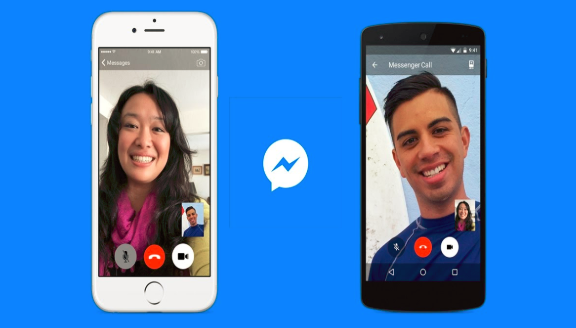 If you're one of the 600 million individuals worldwide that utilize Facebook Messenger, you could understand that you could currently make video calls to fellow customers - Facebook Messenger with Video. This suggests that you as well as any of your friends could see each other face-to-face using your cam or smartphone cameras, and conversation-- with voice rather than text-- using your gadget's integrated microphone. It's a pretty simple procedure-- below's how it's done. 1. Log into your Facebook page: Click on the Messenger icon at the top of the page. A drop-down list of your recent messages will appear. 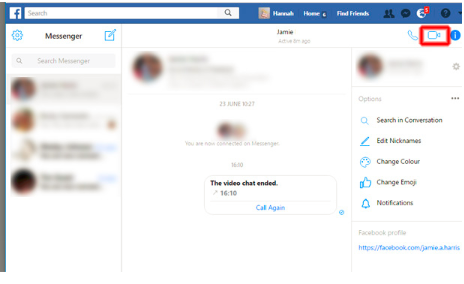 Click 'See all in Messenger', near the bottom which will open Messenger to full screen. 2. Find that you want to chat with: On the left-hand side of the page there's a box identified 'Look Messenger'. Enter the name of the close friend you intend to make a video call with. A brand-new message pane will open in the centre of the page. 3. Begin a video call: In the leading right-hand corner, you'll see an icon that resembles a video camera Tap this. You may need to go via a reasonably quick arrangement screen or more making sure your computer/laptop is ready. Then you prepare to go. 2. Tap the video camera icon: You should see the camera symbol in the top right-hand edge of your display; tap on the symbol to start your call. 3. Start talking: Bear in mind if you aren't linked to wi-fi, you'll use your month-to-month information allocation. video streaming makes use of quite a bit of data, so make sure you inspect your use or use wi-fi where possible.